The Marine Security Force that oversees security at the US embassy in Yemen destroyed their weapons before departing Sanaa, contradicting earlier reports that Houthi rebels had seized them. The Marines said the Security Force left the embassy for the airport with only personal weapons after destroying the remainder of their weapons cache at the embassy. 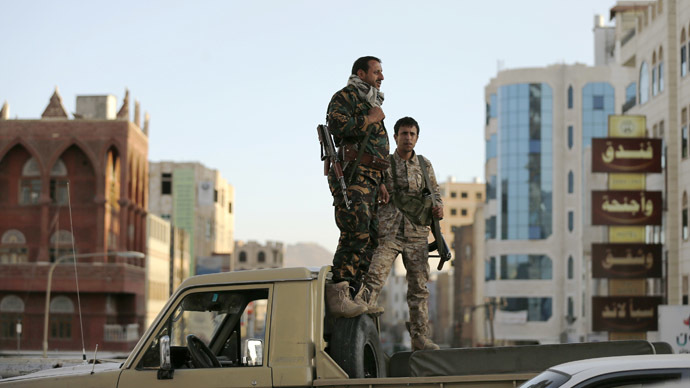 Upon arrival at the airport in the Yemeni capital, the Marines rendered their personal firearms inoperable after the Houthis prohibited them from taking the weapons on to the aircraft. "Specifically, each bolt was removed from its weapons body and rendered inoperable by smashing with sledgehammers. The weapons bodies, minus the bolts, were then separately smashed with sledgehammers," the Marine Corps said, as quoted by Reuters. “No usable weapon was taken from any Marine," the statement said. Staff members of the US Embassy evacuated Yemen after fiercely anti-American Houthi rebels formally took power last week. Over 20 vehicles were taken by the militants after the Americans left for the airport, Yemeni members of the US embassy staff told Reuters. The night before the evacuation, US Embassy staff burned tens of thousands of documents and destroyed the weapons in the embassy’s warehouse, Yemeni officials said. The embassy also handed over the Sheraton Hotel in Sanaa – where its employees were staying – to the United Nations. The majority of US diplomats left Yemen a few weeks ago, with the embassy operating with only a skeleton staff in the last few days. State Department spokesperson Jen Psaki has confirmed that US vehicles and equipment were seized by the Houthis, TASS news agency reports. The actions of the rebels were “unacceptable,” and Washington will demand that the embassy property be returned, she added. Psaki also said that the US plans to restore is embassy’s operation shortly, stressing that the US ambassador to Yemen, Matthew H. Tueller, remains in his position despite leaving the country. US Defense Department personnel will remain on the ground in Yemen to continue counterterrorism efforts aimed against the local Al-Qaeda branch, despite the closure of the embassy, the White House said. 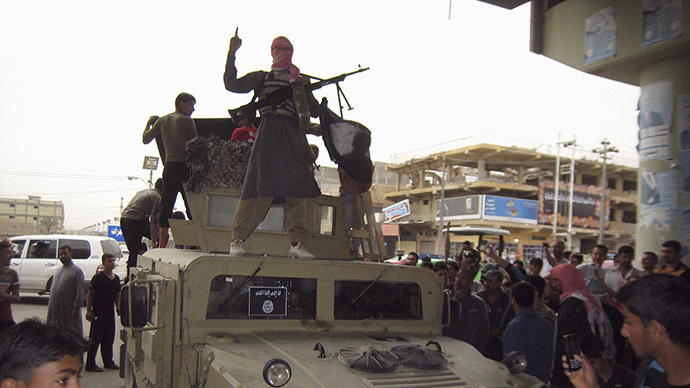 Washington views Al-Qaeda in Yemen as the most dangerous off shoot of the global terrorist organization. The UK and France have also closed their embassies in Yemen and evacuated staff after power in the country was taken over by the Shiite rebels. Following months of fighting, the Houthis besieged the capital and subsequently took control of Sanaa in January. They put US-backed President Abed Rabbo Mansour Hadi and his whole cabinet under house arrest, forcing them to resign. The Houthis, who represent the Shia Zaydi sect in the Sunni-majority Yemen, then dissolved the parliament and announced that they were taking charge of the country. The rebels said that their power grab was a revolution aimed at ridding Yemen of corruption and economic peril. 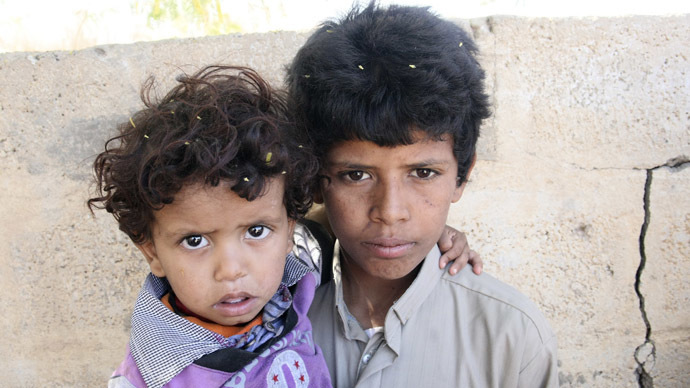 Yemen, situated at the southern end of the Arabian Peninsula, has been in turmoil since the revolution of 2011-12, which was part of the Arab Spring and saw President Ali Abdullah Saleh ousted after two decades of rule. On Tuesday, the US State Department said it suspended operations of the US diplomatic mission in Yemen on Tuesday due “to the ongoing political instability and the uncertain security situation." The UK also evacuated its embassy staff on Wednesday, with the French Embassy said that it would close on Friday. 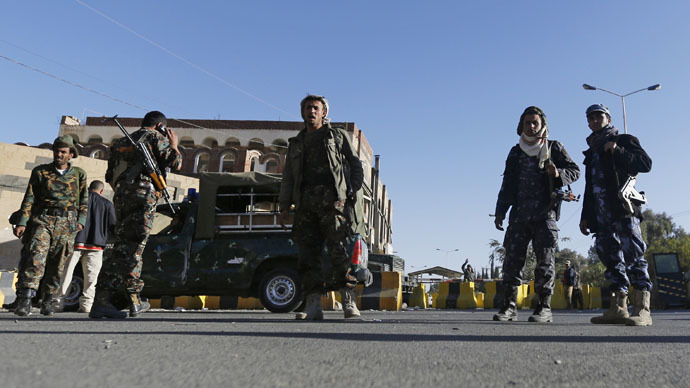 The Houthis have sealed off the main streets of Sanaa, putting militants armed with Kalashnikov rifles on patrol and driving around the capital in trucks mounted with anti-aircraft guns. Yemeni officials told AP that the Shia rebels violently dispersed several anti-Houthi protests, with the demonstrators, who marched towards the UN office, being beaten, stabbed and arrested. Also on Wednesday, tens of thousands of Sunnis took to the street to protest Houthi in the city of southwestern city Taiz, which isn’t controlled by the rebels.